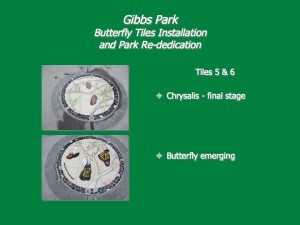 Artist’s rendering of a completed tile. 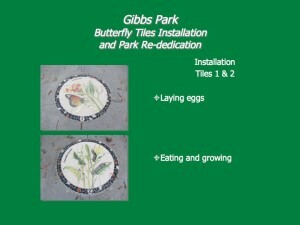 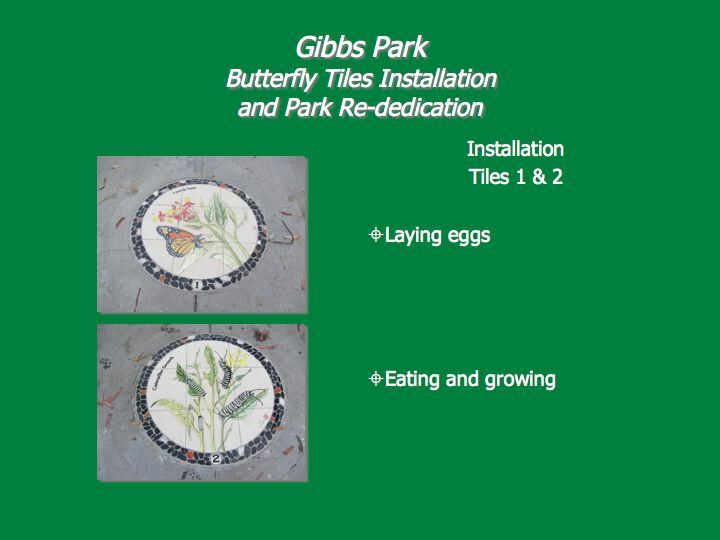 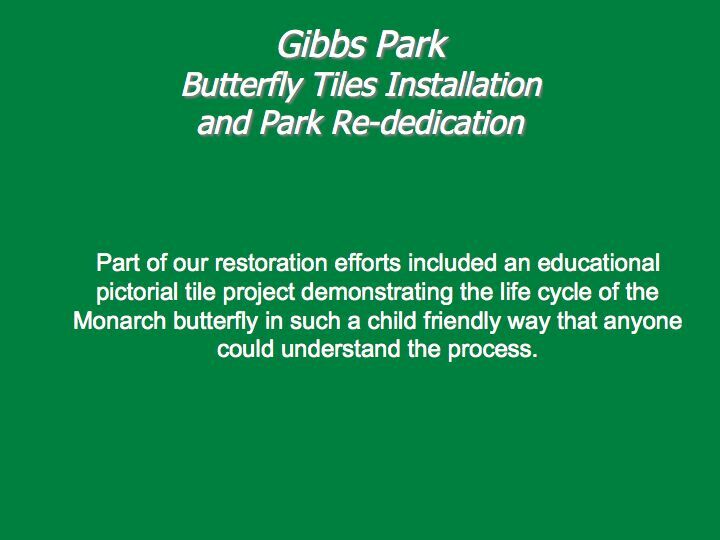 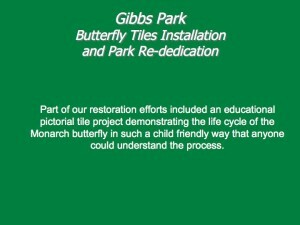 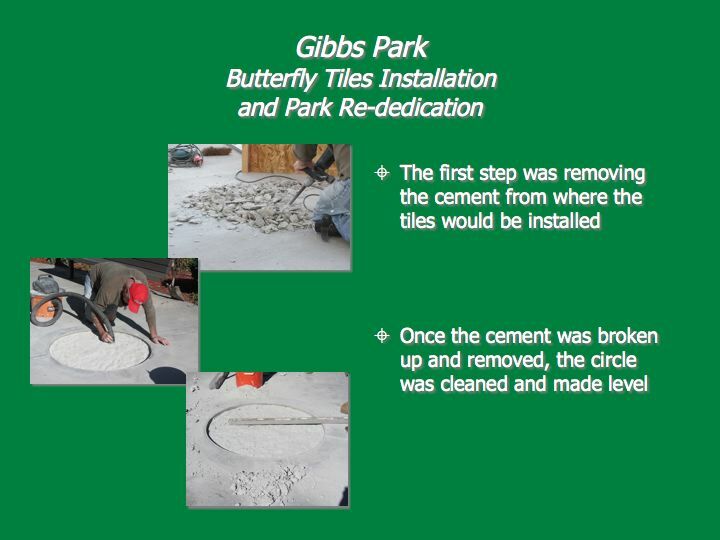 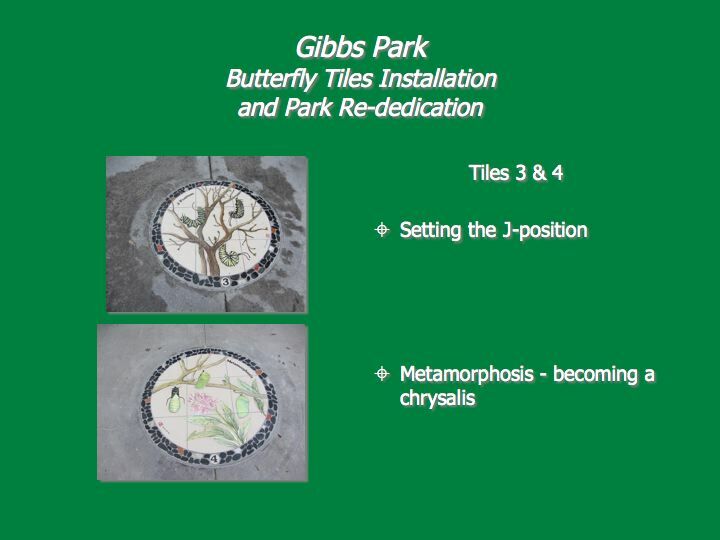 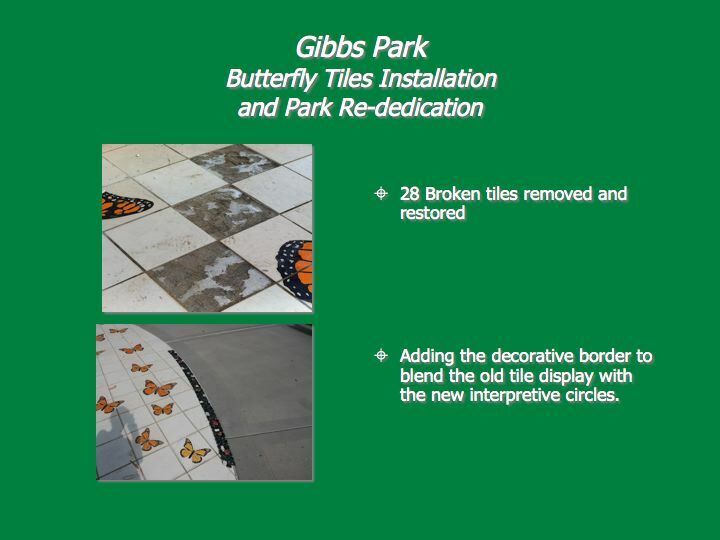 The project has been completed with the life-cycle tiles placed, damaged tiles repaired and replaced, and re-grouting to finish the project. The weather was a factor but the result of the work is spectacular! 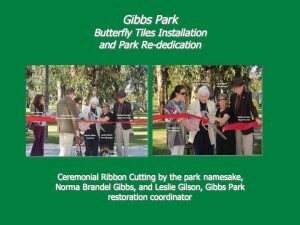 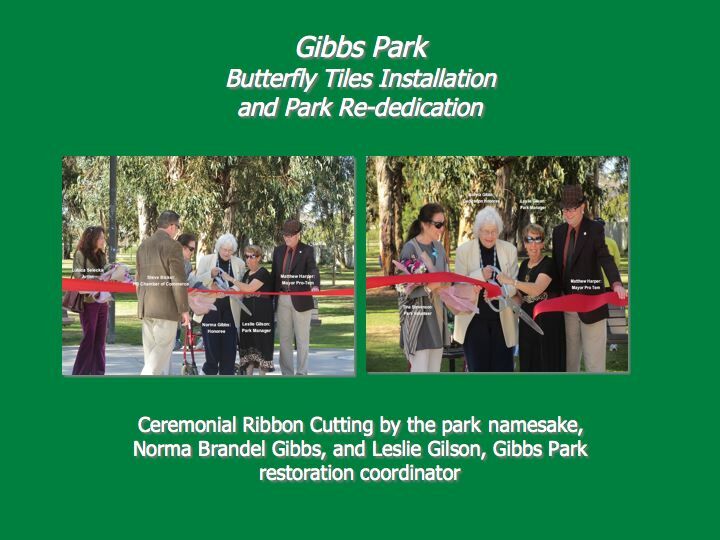 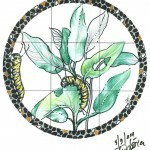 A video of the complete Butterfly Tile Project is here. 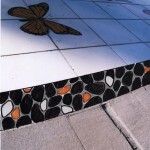 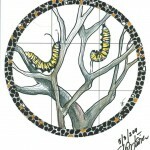 View the finished tile pictures.